It’s tradition in professional wrestling to put over another star in your last match. Normally, it’s an aging star, ready to hang up their boots, giving a ‘clean victory’ to a younger star, a sense of passing the torch. The bigger the star, the bigger the significance of the moment, and few are bigger in Vince McMahon’s eyes than Brock Lesnar. His crossover appear makes him a darling of the company, despite accusations from fans that he is a part-time performer. A couple of nights ago, at Wrestlemania 35 in New Jersey, Brock Lesnar did in fact lose – a rarity in itself in WWE – to Seth Rollins, but it’s not quite clear if that was the end of his career with Vince McMahon’s company. In fairness, however, it does not look like he will be appearing any time soon, and WWE like to put emphasis on Lesnar’s upcoming appearances. Regardless of what happened at Wrestlemania, Lesnar now has a lot of free time on his hands, and there looks to be little standing in his way to get that mega fight with Daniel Cormier. 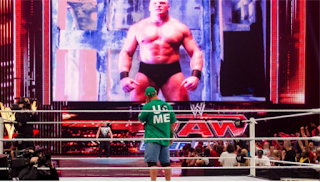 It’s been teased for well over a year now, and it should gather momentum after Lesnar’s WWE exit. Indeed, Cormier was trolling Lesnar on social media straight after Wrestlemania. Lesnar’s manager, Paul Heyman, even teased Lesnar was going to Vegas, where he is “ultimately” appreciated. Bookies have already started putting down odds on the fight, which one could see happening in the summer. Cormier is given odds of 1/3 for the win with William Hill, whereas Lesnar is available at 11/4 with Ladbrokes. You can use free bets with these bookmakers, if you are worried the fight does not go ahead. If you think it’s strange for bookmakers to publish odds on unconfirmed fights, it’s actually quite common. 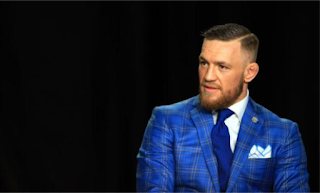 For example, prices are already available on Conor McGregor, who is given odds of 1/2 to beat Donald Cerrone (13/8, Coral) and Holly Holm at 5/2 to beat Amanda Nunes (3/10, Betfair). More or less anyone who is mooted to clash will be given odds, and the bookies will return your money if it does not take place as planned. As for the Cormier vs. Lesnar fight, it’s clear the champion is a big favorite for the victory. However, Lesnar should be ruled out by no means. One should remember that Lesnar odds for this fight are very similar to those he had when coming up against Mark Hunt. Yes, Hunt is not in Cormier’s class, but we were all guilty of vastly underestimating Lesnar. As many commentators point out, Lesnar is a freak. The fact that there is some doubt about whether Comier can beat Lesnar tells you what you need to know. As Brendan Schaub astutely pointed out, Lesnar isn’t even a part-time mixed martial artist, he does it from time to time as a hobby, and he is still seen as a contender. Looking at those betting prices, you can see that many expert fans and punters agree. If the fight was a lock for Cormier, those odds would have tumbled by now. We can deride Lesnar all we want, but bettors won’t be 100% confident putting their money on Cormier once the fight is inevitably announced.